Purchasing from links in this article might provide a commission to this site. We only share resources we use, trust, and believe would be of value to you. Full disclosure. A website is like a virtual business card, and so if you run a business, having a website for your business is essential. But building a website can seem like a daunting task if you have never done it before. Where do you start? Here are the basic first steps to creating your WordPress website. The very first thing you need to do in order to create a website is to register a domain name. This can be any name you find available, but it serves as the unique web address for your future website. Domain names function on the Internet in a manner similar to a physical address in the physical world. Each part of the domain name provides specific information. These pieces of information enable web browsers to locate a web page. Domain names work because they provide computer users with a short name that is easy to remember—like google.com or amazon.com. Domain name registration companies are mostly all the same because all they do is hold your domain registration. However, some domain registrars are much easier to use than others. For this reason, I recommend Namecheap.com to register your domains. They make it simple to check if a domain name is available and to register the one you choose, and their customer dashboard is really straight-forward to use. You can get a .com domain name with free WhoIs protection (which hides your personal name and address on the registration from the public) for as little as $9.40 a year with a Namecheap coupon! But wherever you register your domain, I highly recommend you use a domain registrar that is distinct and separate from your web-hosting service. That way, if you ever have trouble with your hosting service and need to change to a new company, you only need to move your site, not your domain, too. If you only have to move your site, you will not have any downtime while migrating from one host to another. 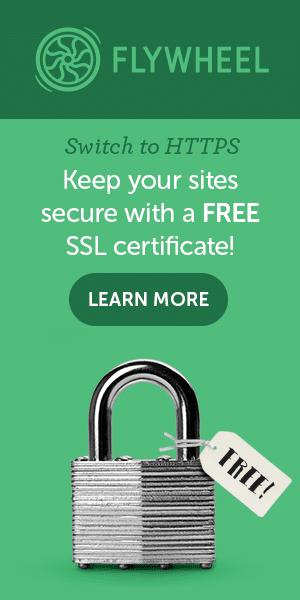 Website Hosting – Buyer Beware! Once you have your domain name registered at a registrar like Namecheap, you will need a web hosting service to host and serve your website page files for visitors to see. Most domain registrars offer hosting, and most web hosting companies offer domain registration, but remember: Your hosting company should NOT be the same as your domain name registrar for the reasons outlined above. I’ve worked with many clients whose website was hosted by the design agency they had hired to initially design and create their website. But, much later, when they wanted to hire a new designer or move their site to a new hosting company, the original design agency (who didn’t want to lose their business) suddenly became unresponsive to their calls and emails, or changed the passwords on the website. Some agencies wouldn’t release the website without a legal battle. Don’t let this be you. By purchasing hosting service in your own name, your site will always belong to you, and you will be free to hire (and fire) whatever designer or tech support help you wish. If you need to change hosts, you will also be free to do so without your web designer potentially holding your site hostage. When it comes to finding a company to host your website, you do get what you pay for. In my professional opinion, the hosts owned by EIG (such as Hostmonster, Hostgator, Bluehost, etc.) tend to be very cheap, but they also tend to have lots of glitches, and when you’re site goes down or has problems the customer service is abysmal or absent altogether. Most of my tech support clients are people whose websites were on Bluehost, Hostmonster or Hostgator. The problems these hosts create for their customers make me a lot of money, but I’d really prefer you spend that money with me on designing a more attractive website! For a brand new website with no traffic yet, or for an existing site with relatively low traffic (less than 50k visitors a month), I recommend shared hosting. Shared hosting is affordable because many different websites share space on a single server, bringing the cost down. So if you don’t have much traffic that requires a lot of space and bandwidth on a server, shared hosting can be a great value, with plans as low as $4 a month. My favorite shared hosting provider is Siteground. They are as affordable as the other shared hosts out there, but they have some of the fastest site loading speeds in their class. You definitely want your website to load up as fast as possible for visitors! Siteground also has pretty good customer service, and they will migrate your website from another host for free. If you have a high-traffic website (more than 50k visitors a month) or a big e-commerce shop, you will need premium web hosting. Premium hosting costs a lot more, but it offers what is known as dedicated or managed hosting. On a premium host, you will not be sharing server space with lots of other sites, so your site will load faster, handle a lot more traffic with ease, and be much more secure from hackers. Premium WordPress hosts are dedicated primarily to your site speed, function and management, so, unlike shared hosting plans, they do NOT offer email. You will need to get your domain-name email either from your domain registration company, or from a third party service like G-Mail Business. There are some great premium hosts out there, and I’ve worked with most of them. A premium host makes a web developer’s job easier by offering daily backups, outstanding customer service, a staging site for testing new design ideas, and more. My three favorite premium hosts are Accelerated WP, Flywheel and WP Engine. Accelerated WP is a small company with great prices and outstanding customer service. They even have a developer on staff to help you figure out the trickier problems that can sometimes occur when you have a highly customized WordPress site. I host my own high-traffic sites on Accelerated WP, and recommend them highly. Flywheel brags that their hosting is super simple—and it is! Their easy to use customer interface makes creating backups, restores, staging sites and more as basic as they get. They are a tad pricey, but fast, friendly and secure. 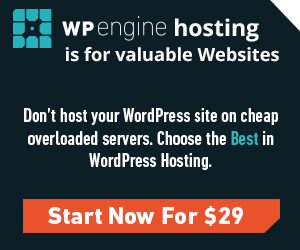 WP Engine is arguably the Mercedes Benz of the premium hosts, with a price tag to match. But for the price, they are arguably the fastest, most secure, and easiest to use web host out there. With push-button backups and restorations, easy to use staging sites and automatic site updates, WP Engine makes designing and maintaining WordPress sites really easy. If you can afford WP Engine, it’s definitely worth it. Once you have your domain name, and a web host arranged, then you can begin to build your website. If you are not technically inclined, a good WordPress developer and designer can set up and configure your domain, email and hosting settings, install WordPress, and set up or design a custom theme to make your website really shine. If you need such services, please get in touch!